Drawn To Death, to be honest, isn’t a good game at all. The good thing is the game is free to everyone who has PS Plus but if you don’t have PS Plus I don’t recommend you buy this game as this game has many different flaws. At glance, the game looks quite unique and it looks like the next Rocket League but realistically speaking this game is far from the next Rocket League. The art style in Drawn to Death is different some may like it and some may not like it. Personally, I thought the art style in this game was very weak and messy. I think Drawn To Death could have been something good but it’s just lacking in everything. This game also has many bugs. To be honest Drawn To Death is fun for about 10 minutes. When you first boot up the game and play you get sense strong potential for the game but after about 10 minutes the game starts to show it’s true colors and you start to realize you’re playing a poor, clunky game with unbalanced weapons. The combat is also terrible in this game. The matchmaking in this game is also very uneven and the gameplay can get very repetitive and stale. 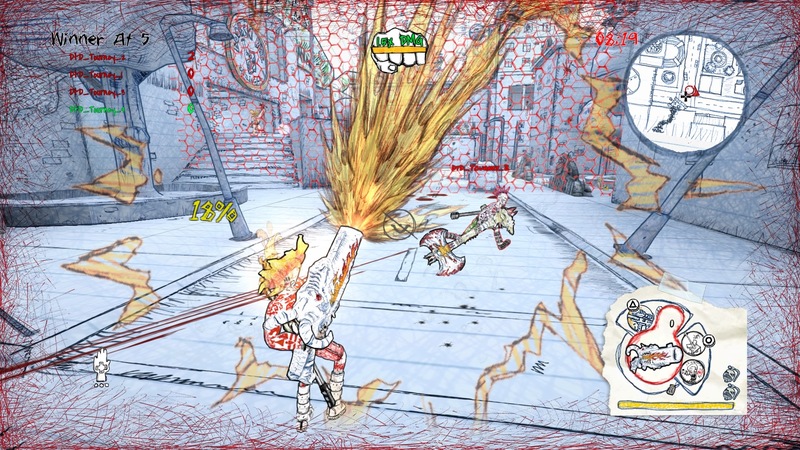 Drawn to Death also tries to be funny but in reality, it’s not a funny game at all. This game is free so there is no harm in downloading it. If you don’t like it just delete because at least it’s added to your library. This game has many problems and overall not recommended if you are buying the game without PS Plus. Drawn To Death isn’t a good game. The game is terribly unbalanced and lacks content.